The season for pumpkin spice lattes and Ugg boots is upon us. Autumn officially starts this week, so we can't help but think of how different businesses use the season to their advantages. Gap has a fall discount code, Starbucks releases their fall-only Pumpkin Spice latte and Yankee Candle has an entire line of candles dedicated to fall. We know you're not selling lattes and candles, but your dealership can use similar tactics to attract more customers. Here are a few tips on how you can use special discounts, limited time offers and pumpkin overload to pump up your business this fall. When temperatures start to drop, vehicle maintenance becomes pretty important. Most people know that cooler weather affects their cars but might not know how to prepare for the changes. Use this as an opportunity to draw customers to your dealership for quick check-ups on their cars with a little discount. Rather than sending out a direct mail piece that could be thrown away, broadcast a prerecorded message reminding customers to prepare their cars for cold weather. Include a "weatherizing discount" for a limited time to attract customers. You can even go so far as to personalize the messages with the customers' names and unique vehicles (if you don't know how to do that, we know a guy). HubSpot found that limited time offers produce nearly a 10 percent higher response rate from customers than a regular offer. Capitalize on this by offering fall colors at a discounted price or handing out fall freebies with the purchase of fall-colored cars. As HubSpot mentions in their research, limited time offers create a sense of urgency and prompt customers to buy. Don't let that get away from you! To track the effectiveness of your offers, include a unique toll-free number (TFN) on your emails, in your phone calls or on direct mail pieces. By giving each of them a different TFN, you'll be able to analyze how many people call about the different offers and therefore easily measure your ROI on the campaigns. We're not suggesting that you serve pumpkin lattes and fill the air with pumpkin scent (although if you did, it would be heavenly). But rather, be the host for a day at your local pumpkin patch to increase your dealership's brand awareness. There are plenty of dealerships around most towns, so you have to do something to make yours stand out. Send invitations to your local customers and prospects to get them familiar with your name and generate buzz. To make it a fun event, host a contest in which there is a winning pumpkin somewhere in the patch. The prize can be a free oil change, tire rotation or any other maintenance service. Getting involved in your community shows customers that you care and helps strengthen their loyalty. 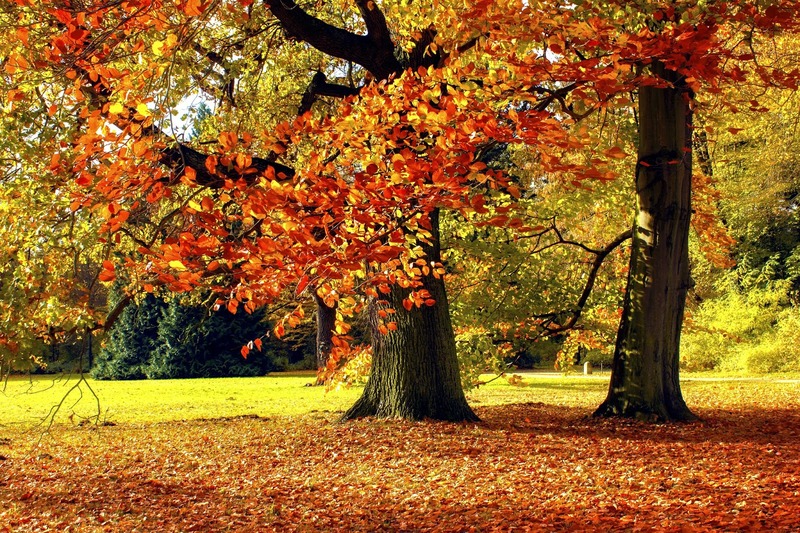 What are some things you do during the fall at your dealership? Let us know in the comments! What Should You Do With Your Dealership Marketing Budget? eMarketer predicts that total digital advertising spending in the auto industry will increase from $5.85 billion in 2014 to $6.56 billion in 2015. We're hoping you have plans for all that money, but if not, you can make checks payable to Callbright. Just kidding. But seriously, don't blindly spend it, don't burn through it, and don't toss it in the air to make it rain. If you're going to spend more in the digisphere, you'll need an attack plan to make sure you're successful. Digital advertising can range from social media to YouTube to paid search campaigns. To help you get started on your attack plan, we've come up with a few tips. Most businesses are already on social media, but just being there isn't enough. You have to post interesting and relevant content to keep your readers (who should be prospects or customers) following you. Start out by following industry experts so you can get an idea of what content generates activity. Once you've nailed down your content topics, check out these tips to craft an awesome tweet. But don't let a perfect tweet go to waste — post it at the time it'll get the most action. If you don't know when that is, post at different times during the day for about a week to see what time generates the most activity for your content. The average best time to post or tweet may not be your best time, so take the time to do an experiment to get the most out of your social media accounts. Commercials have always been big in the auto industry, but now online video ads are becoming more popular. Online videos allow auto brands and dealers to create a story around their products and develop a more intimate relationship with their consumers. After all, over 20 percent of Internet users visit YouTube every single day. We'll be honest: Creating a video campaign takes a lot of creativity. You'll have to make your video stand out from the rest, and you can't stand out without Jean-Claude Van Damme doing an epic split atop two 18-wheelers in reverse. Make sure you convey your message and include a call to action, such as a unique TFN so you can track the ad response. Add a little bit of finesse, and you've got yourself a video campaign! Check out this post for more video advertising tips. Dealer Marketing suggests that you focus on finding pay-per-click keywords that are relevant to your dealership and write really good ads. Easy enough, right? Wrong. You need to do experiments to see what keywords drive the most traffic, what headlines catch the most attention and whether you perform better on the Search Network or Display Network. In Google AdWords, that's easy with the Campaign Experiments tool. Another helpful tool in AdWords is the Keyword Planner. 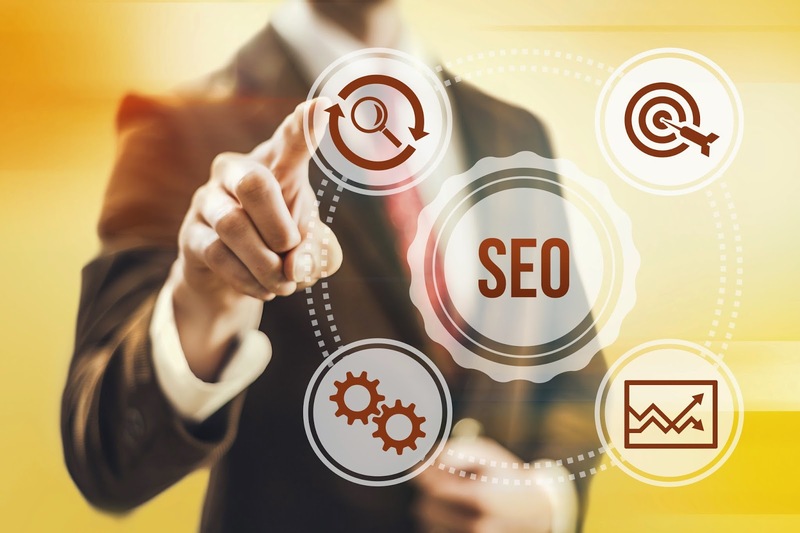 It'll help you find keywords and will give you traffic estimates for those keywords. No matter which network you choose, one common element of awesome ads is a killer headline. You want to draw people in, but not give a blatant sales pitch. Once people click on your ad, they want to see something relevant to what drew them in. Don't forget to link your ads to relevant content or you'll get penalized big time. Here are a few more paid search tips if you're a first-timer. Do you plan on doing any of these things with your dealership's marketing budget? Let us know in the comments! Dealers: Take a moment to look down at your hand. Is there a smartphone there? Yes? Now take a look at your next 10 prospects’ hands. Are there smartphones there? We’re going to guess yes! eMarketer predicted last year that 2014 would be the year mobile usage surpassed desktop usage, and it looks like they were right on the money. Test special offers. Bringing in new traffic is about showing shoppers you can meet their needs better than those other guys, so experiment with offers to see which are most effective at converting shoppers. Make it easy for prospects to respond to you — and then respond to them. Save your prospects from unnecessary button-punching by implementing clickable numbers on your website and in your emails so they can call you at the click of a button. (Just make sure your salespeople have brushed up on their phone skills. See below.) If they submit an inquiry via your web form, be ready to respond ASAP, or else they’ll be on to the next dealership in their search results. Have a good sales team on your side. Make sure your sales staff is trained to adapt to mobile shopping behavior. They should be understanding of shoppers using their phone for research, match each prospect with a deal that really meets their needs and treat them with respect and honesty. Having a great staff is key to generating positive online reviews for your dealership as well. 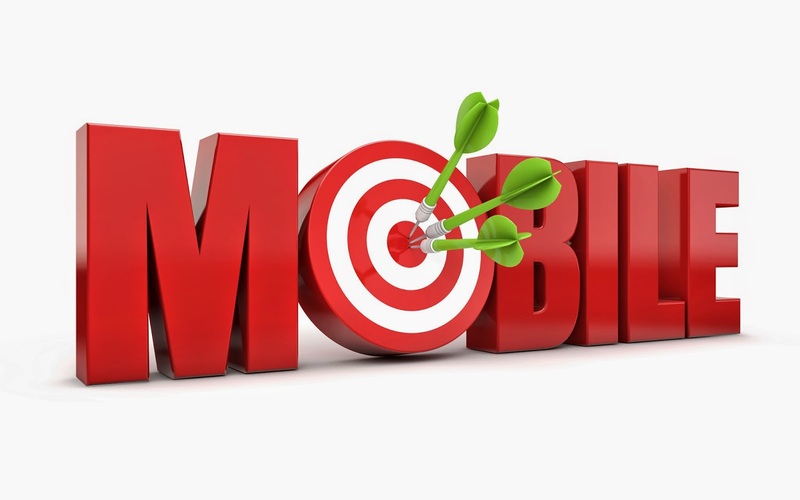 Want more mobile marketing tips? Go download the e-book! With the new TV movie “The Unauthorized Saved by the Bell Story” soon to air on Lifetime, we’ve got the show that embodies the early '90s on our minds. 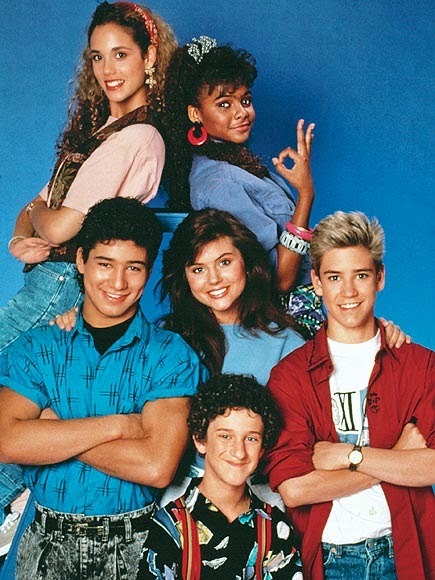 Aired on NBC from 1989 to 1993, “Saved by the Bell” follows Zack Morris, Kelly Kapowski, Screech and gang through their shenanigans as they learn to balance school and their personal lives. Even today, you’ve gotta love the show’s iconic hairstyles, “vintage” clothes and, best of all, its catchy theme song. While the song is probably best known for the awesome graphics that accompany it, we’ve actually noticed that the problems mentioned in the lyrics can be related to lead management problems. In case you don’t see the connection right away, we’ll break it down for you and even offer some solutions. We’d like to apologize in advance for getting the song stuck in your head. When I wake up in the morning and the alarm gives out a warning and I don’t think I’ll ever make it on time. By the time I grab my books and I give myself a look, I’m at the corner just in time to see the bus fly by. We’ve all had times when we barely miss our leads, just like Zack barely misses the bus. When leads call, they may not always get in touch with you. They could get directed to the wrong department, your receptionist might be out to lunch or you could be away from your desk for a quick coffee refill. No matter the reason, it’s disappointing to lose a lead due to simple mishaps like these. It’s all right, ’cause I’m saved by the bell! Enhanced call completion could save your sale. It’s like having a virtual receptionist that doesn’t let you lose leads. It can route after-hours calls to customizable numbers and reroute calls that don’t get answered after a certain number of rings. With these tools, the next time leads call, you won’t have to worry about barely missing them. If the teacher pops a test I know I’m in a mess and my dog ate all my homework last night. Riding low in my chair she won’t know that I’m there; if I can hand it in tomorrow it’ll be all right. This is a situation we’ve all run into, both back in high school and in the workplace. It’s time to turn in the reports to the teacher (now manager), but you don’t have them ready! You’d love to know where your calls are coming from and the demographics of your callers, but it’s too overwhelming to collect that much data manually. You don’t have to hide from your boss by slouching in your chair! A call reporting tool can save the day. It will automatically record the demographic information of your callers, so you don’t have to spend hours recording it manually. You can then organize the data to make more informed targeting decisions. The data is compiled automatically in an easy-to-read report, so you’ll be prepared at a moment’s notice to hand it to your boss. By implementing these lead management tools, you can be saved from the tricky situations similar to the ones Zack Morris encounters on the reg. Do you have any tricky situations we can help with? Let us know in the comments!